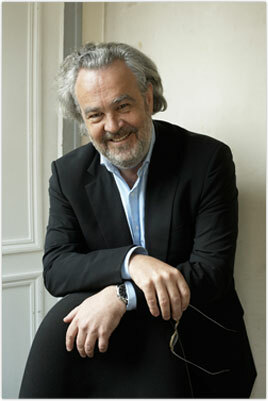 Born in Brittany (France) in 1954, pioneer of the sustainable development in town planning and architecture, Philippe Madec has lived in Paris and Brussels. Trained in architecture at the Grand Palais in Paris (Ciriani / Maroti's studio) from 1972 to 1979, he founded his studio in Paris in 1989. Meanwhile, he has no professional practice, travel and live abroad, conducted research on pedagogy and architectural theoryand wrote his first book of Etienne Louis Boullee. - Global award for sustainable architecture since 2012. In 2016, he becomes a UN expert for the preparation of HABITAT II summmit in Quito. Writer, he has published books, articles and films on art, architecture, landscape, urban planning, theory and pedagogy of architecture. Time teacher (Columbia University, ENSPaysage of Versailles, University of Montreal, Harvard University,Paris-Tolbiac, Grenoble, Rouen, Lyon), since 2010 he is professor at ENSA Rennes, where he teaches "The invention of the territory Sustainable "and since 2005, invited to the Technical University of Vienna (Dept BIOS, FHJourda). Research Director, he was and is engaged in research on the architectural drawings to the Ecole des Pont et Chaussées in the eighteenth century, the relationship between theory / pedagogy in architecture, environmental quality, the lack of definition of the architecture, natural ventilation, etc..